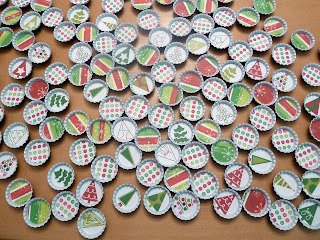 I made these cute Christmas Bottle Cap Magnets to attach to my Eggnog Pound Cake foil pans, but they would make a cute and easy gift on their own too! Stick magnets to the top of bottle caps. Use 1 inch circle punch to cut circles in cute scrapbook paper. 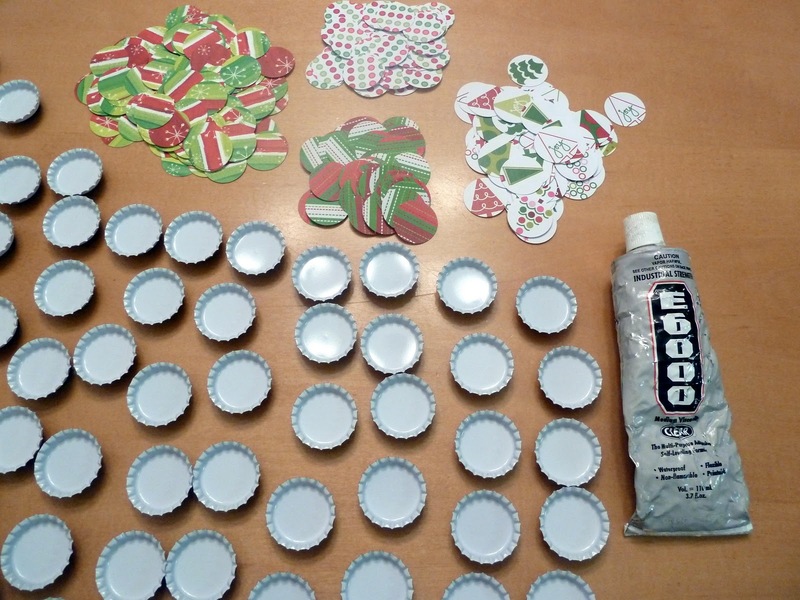 Dab E6000 glue into bottom of bottle caps. Press paper circles into cap. 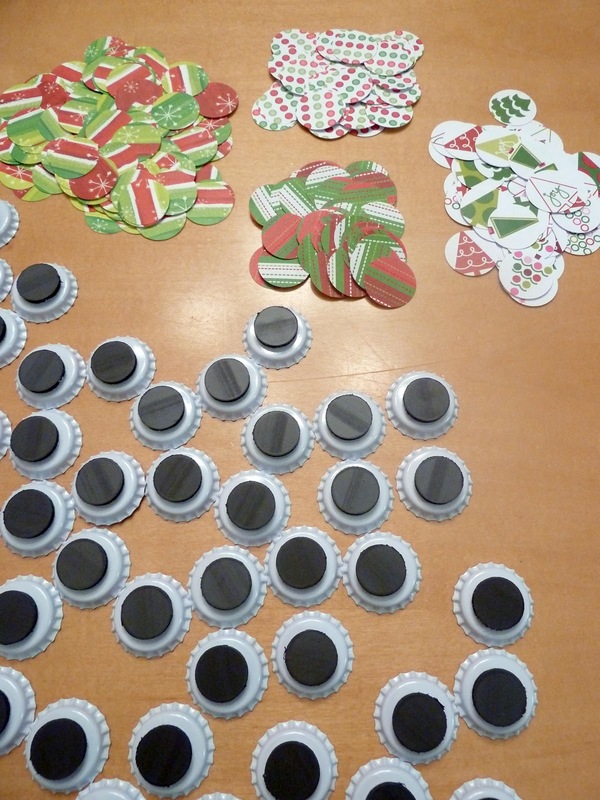 Make really cute Christmas magnets! These design is very beautiful. 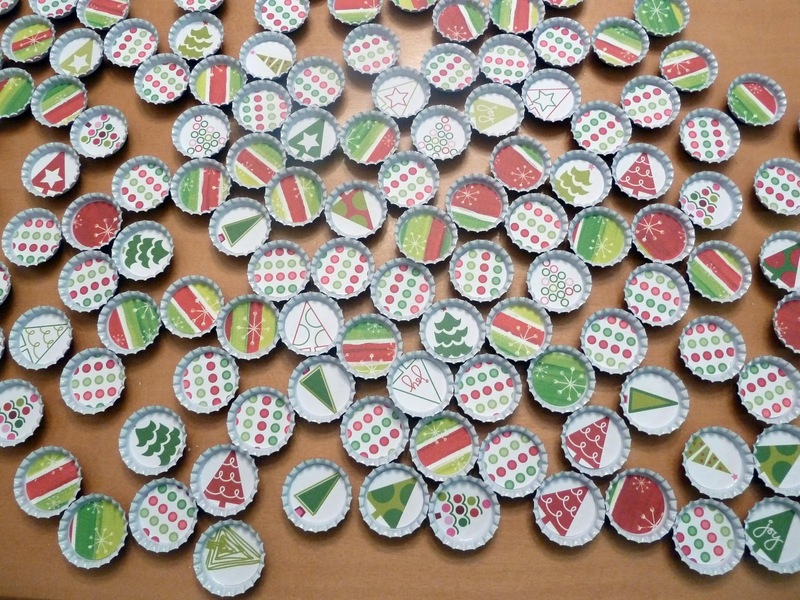 you can make big christmas gift from many mini Megnets bottle caps.